HENT is a Nordic contractor who develops and executes all types of construction projects. 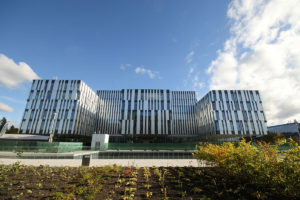 HENT has its headquarter in Trondheim with branch offices in Oslo, Bergen, Ålesund, Bodø, Tromsø, Hønefoss and Horten. 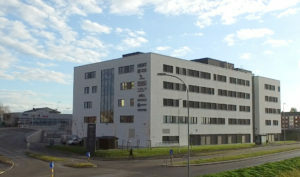 In addition HENT has its subsidiary in Sweden with offices in Stockholm and Malmø. We have delivered a number of large construction projects to both public and private developers throughout the country. HENT has carried out many large collaborative projects and developed a separate implementation model for these called “HENT TOTAL VALUE”. Through active participation and integrated project development, HENT has for a number of years participated in value creation for its clients. A complete participation from idea to handover is one of HENT’s trademarks. As a natural further development of this, we established HENT Eiendom AS which is a wholly-owned subsidiary with a purpose to develop attractive properties for commercial and residential projects, often in collaboration with other actors. HENT has through the past few years delivered a number of zero mistakes projects, and we have an ambition to deliver the right quality every time. This should be achieved through risk-based quality assurance, by identifying risk as early as possible, risk-reducing engineering and design, risk-reducing execution and control regimes at increased risk. To empasize the importance of this quality process, we have further established internal ecpertise in environment and energy-efficient construction. Our projects are based on the model “Lean Implementation”, which is our adaptation to the more well-known LEAN principles. HSE is US! This is our HSE slogan and is intended to provide associations that HSE is about people and the environment around us, about our employees, collaborators and everyone else we come in contact with. We have further elaborated on this in our HSE policy. HENT has systematic and close follow-up of occupational health and people on sick leave. We know that our employees are the company’s most important asset and that high focus on health and well-being in the workplace is economically profitable. Our projects must be characterized by the same values as we offer our own employees. This means that all our partners, including clients, suppliers, subcontractors and the community in general must be confident that the projects comply with regulatory requirements and other expectations for a safe and health-promoting work environment. This will be achieved through systematic work characterized by knowledge, experience learning and a management that demonstrates by action that HSE has first priority regardless of other needs and wishes. We are convinced that a high HSE standard is necessary for optimal operation and long-term corporate economic profitability. Good communication between all actors in a construction project is always a prerequisite – also for safety, well-being and environment! In addition to physical protection and documentation of this on the projects, the HSE work also includes planning, supervision and documentation of work environment-related conditions. Organized labour crime is unfortunately a serious issue that is linked to our industry. HENT has established an own regime that follows all projects from early start-up to completion precisely to minimize the possibility of unacceptable conditions on our construction sites. HENT is conscious of its social responsibility for health, safety and environment, including both planning and implementation of the construction process. We have received acknowledgments from authorities, clients, competitors and partners for our undisputed focus on HSE. HENT is certified according to the HSE-standard OHSAS 18001:2007. We have a commitment to our customers to deliver the right quality and at the right time each time. This commitment also represents the company’s overall objective for quality work. In HENT, we know that there is a close relationship between good quality, good economy, good customer relations, more assignments and a safe and secure workplace. An important prerequisite for achieving this is a well-developed and vivid quality management system. HENT has over time developed its own system with accompanying tools for monitoring and measuring quality in the projects. Our management system describes HENT’s value chain and sub-processes with further links to operational tools. Through ongoing evaluation, experience transfer, risk focus and improvement of these processes, in particular the interfaces between them, we consider ourselves well prepared to meet the demands and expectations as well as the authorities that customers have to ask. HENT is committed to a well-functioning management system and is constantly working to ensure that it works optimally at all levels and provide the intended effect. To achieve this, several Lean and ISO principles are actively used, to name a few; Planning and interaction, process management, goal-oriented improvement and perhaps most importantly – continuous customer orientation. Correct quality, at the right time – every time. Correct quality, at the right time - every time.